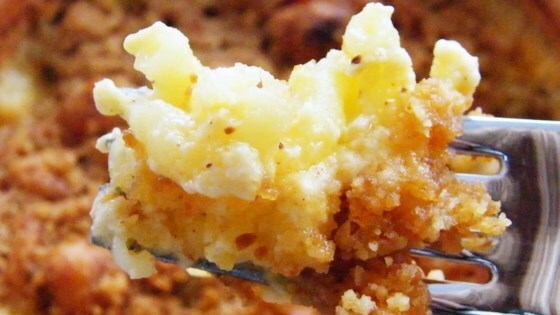 "Cheesy gluten-free deliciousness that is super easy to make. Kid-approved!" Gluten-free penne pasta can also be used in place of the elbow. Any variety of cheese can be used in place of the Cheddar cheese, if desired. You can use your hands or a food processor to turn toast into crumbs for the topping. If you do not desire a crunchy topping, place reserved 1 cup shredded Cheddar cheese on top of pasta mixture and bake uncovered for 30 minutes. I think 4 cups of milk was too much. Mine just turned into a soupy mess.